Developed at the Crane Naval Weapons Support Center the CAW was designed to fire both conventional 12 gauge loads (using a special adapter) but also fire the companies own flechette rounds. 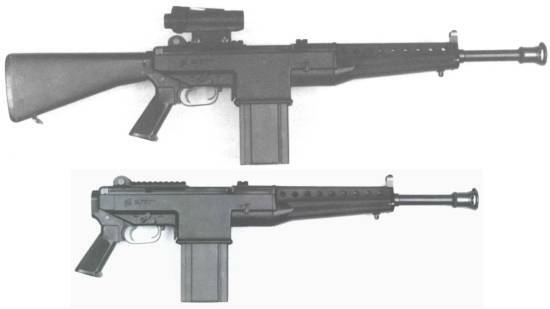 Designed similar to an M-16 to allow familiarization by troops issued in the field, the weapon was also capable of removing the buttstock for an even more compact weapon in close quarters combat work. The weapon was equipped with iron sights and a reflex optical sight for quicker target acquisition can be used if desired. The AAI CAW was also equipped with a muzzle brake to help reduce the recoil of the weapon when fired.